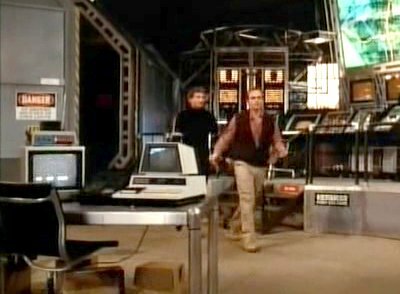 The Pet lies unused as set decoration in the lab. This is 1985, not 1977! true, but i still used mine then! Indeed, I recall seeing one in a university lab in the mid-to-late '80s. 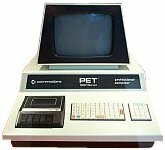 Since the PET had an IEEE-488 (aka HP-IB, GPIB) interface, and was much cheaper than any other machine so equipped, they were often put into service as dedicated instrument controllers, after which there would often be no reason to replace it for the life of the instruments. A computer in that role could easily remain in place 6 or 8 years later.